The following open letter was published by the mysterious "Pinoy Templars" a few hours ago on their blog. I am re-posting the letter here, for a record of events. 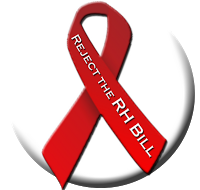 I have shied away from posting on the RH-related plagiarism controversy surrounding Senators Sotto and Cayetano, due to the lack of time more than anything else. This is a lacuna that I intend to remedy as soon as possible with 'retrospectives' on the matter. - CAP. We read with amazement the transcript of your press briefing in reaction to the plagiarism case you are now facing before the Senate ethics committee. There’s no way to describe your defense, but—to borrow your own word — a rehash. Let’s cut to the chase. Stop lying to the public, Ma’am. Last August, after we exposed your plagiarism, you did a poor job of covering up the evidence. You see, last August 19, we found out that a crucial paragraph of your World Environment Day speech was unceremoniously lifted from the website of the United Nations Environment Programme (UNEP), without any attribution. The following day, you scrubbed your website, and voila! Footnotes magically appeared on the online text of your speech. We noticed, too, that you rewrote the second paragraph defining “Green Economy,” to make it appear that it was attributed to UNEP. Ma’am, that is not a technical glitch. That is deception. You take issue with the fact that your speech on “The Status of the Philippines in Achieving the Millennium Development Goals” was never delivered on the floor. But that does not change the fact that you plagiarized a PowerPoint presentation of a Department of Health official via a webpage with your name on it. In August, you said: “If at any time, I fail to attribute, I immediately make the necessary corrections and amends.” Well, it took you two months to correct the World Environment Day speech and three years to correct the Millennium Development Goals speech—after we exposed your cut-copy-paste habit. In our dictionary, “immediate” means “occurring or done at once; instant.” Two months or three years is not immediate, Ma’am. By the way, you might have overlooked your speech titled “Raising Awareness on Breast Cancer” delivered on October 2, 2010. You sure sounded like an expert in medicine and medical equipment when you talked about mammography and biopsy, without citing sources. Ma’am, you lifted sentences word-for-word from medical websites. Is that a technical glitch, too? We understand your situation, and we know you don’t want to apologize because that will put you in the same boat as your colleague, Sen. Tito Sotto, the subject of vicious character assassination by your lobbyist-friends. You are also running for reelection, and for someone who graduated with “academic distinction, #7 in her class,” and was a member of the Honor Society, Order of the Purple Feather, to admit to plagiarism is such a shame. Are your lobbyist-friends gonna file an ethics complaint against you like they did to Senator Sotto? A million-dollar question. But we trust your brother and fellow pillar of the emerging Cayetano political dynasty—ethics committee chairman Sen. Alan Peter Cayetano—to ensure that no one, not even his sister, is above the law. You know what, Ma’am? You can still do the public a great service. This time, please stop denying. 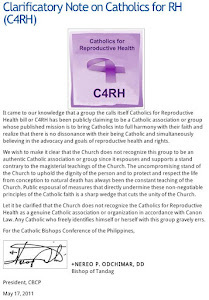 Stop denying the foreign abortion agenda behind RH. 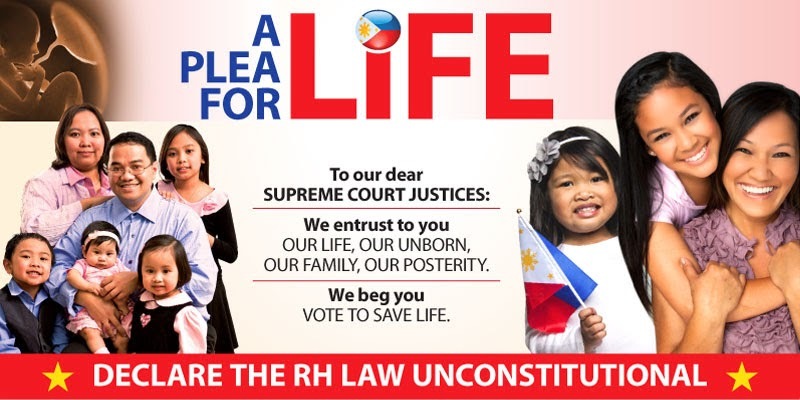 The RH bill is being pushed by people funded by the largest abortion provider in the world, International Planned Parenthood Federation and other pro-abortion groups. The legal framework for state-funded contraception is the same as that for legalized abortion. Lawyers like you should know that. Stop denying that hormonal contraception increases the risk of cancer. No less than the International Agency for Research on Cancer of the WHO has classified birth control pills as Class 1 carcinogens, the same as asbestos and formaldehyde. This is scientific research, not opinion. Finally, stop denying that life begins at fertilization, a clear constitutional precept. Conception is fertilization, as defined by books on law, biology, and pharmacology. This is important because pill manufacturers themselves have disclosed that hormonal contraceptives do not stop at preventing ovulation; they can also prevent implantation, which is an early abortion. This is the truth. So, please, Senator Pia, stop lying. Stop denying. Labels: Elisa Sangalang, Pinoy Templars, Plagiarism Controversy, Responses to Sen. Pia Cayetano, When does life really begin?